The ELACIN Biopact FlexComfort is a very compact hearing protector that was first developed to provide protection for motorcyclists of the Dutch police department. 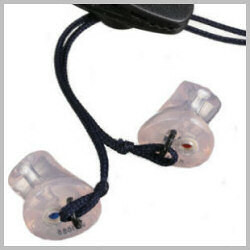 It has a flexible silicone O-ring which makes it easier to fit the protector and remove it from the hearing canal. The Biopact FlexComfort fits completely in the hearing canal, with no protruding parts. Therefore this hearing protector is well suited for usage under a helmet. Wind noise during motorbike riding creates a noise level that will cause hearing damage. Because of our filters you will not be isolated from your environment. Everything will keep its natural sound. If you have an build-in headset in your helmet, you can keep using it in combination with our Biopact. Noise levels of more that 80 dB can cause irreversible hearing damage. 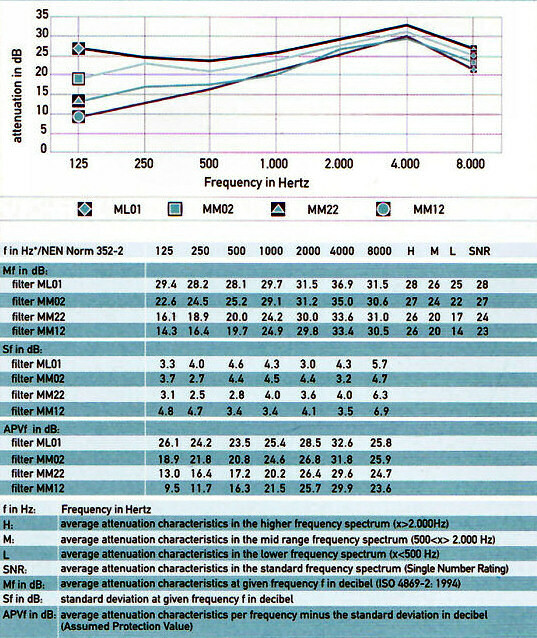 The higher the dB level, the faster people will sustain hearing damage.